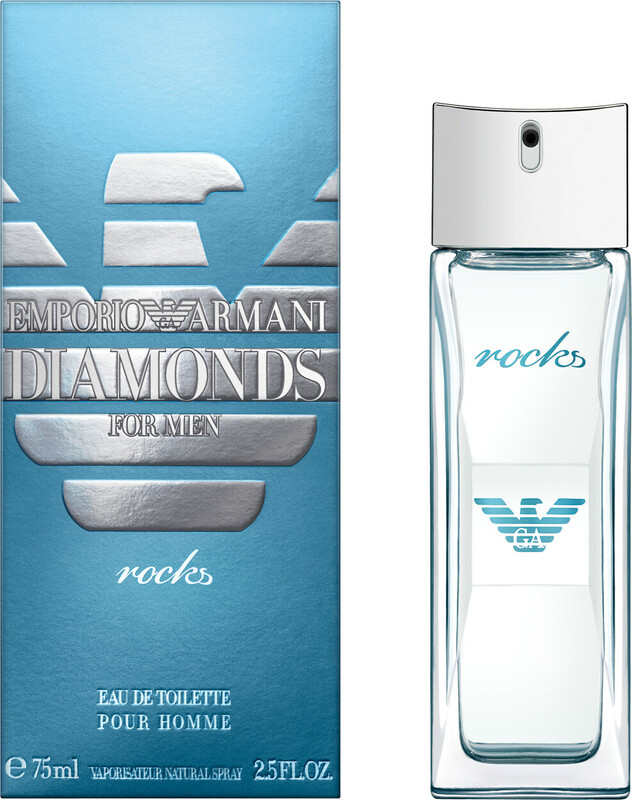 Emporio Armani Diamonds Rocks Eau de Toilette for men, is an aquatic aromatic fragrance designed for men who are the life and soul of a party. This captivating, fresh scent has been crafted for men who live life on the edge; men who are daring, brave and unafraid of taking chances. If you're the passion and energy of a party, sophisticated, cultured and well-dressed then this is the fragrance that will truly complement your character. Encapsulated in a glass bottle inspired by magnificent rocks of ice, Emporio Armani Diamonds Rocks delivers radiating light and sparkling energy. This Eau de Toilette opens with alluring notes of rich Italian bergamot, blended perfectly with a pinch of black pepper to deliver a spicy punch with hints of danger and power. The freshness of crunchy green apple closes the top notes perfectly with a burst of crisp clarity. The heart notes uplift and reinvigorate with calming oceanic notes, soothing geranium and sensual violet. In the base notes smoky, earthy guiac wood and cedarwood are blended with rejuvenating vetiver to round off this memorable fragrance, leaving a striking impression when you need to be at your best. Giorgio Armani Emporio Armani Diamonds For Men Rocks Eau de Toilette Spray is rated 5.0 out of 5 by 1.